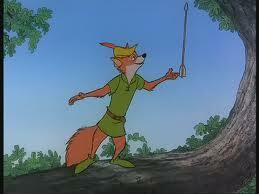 Robin Hood: Did You Know They Are Doing A TV Series With Robin Hood and His Band of Merry Men As Women? 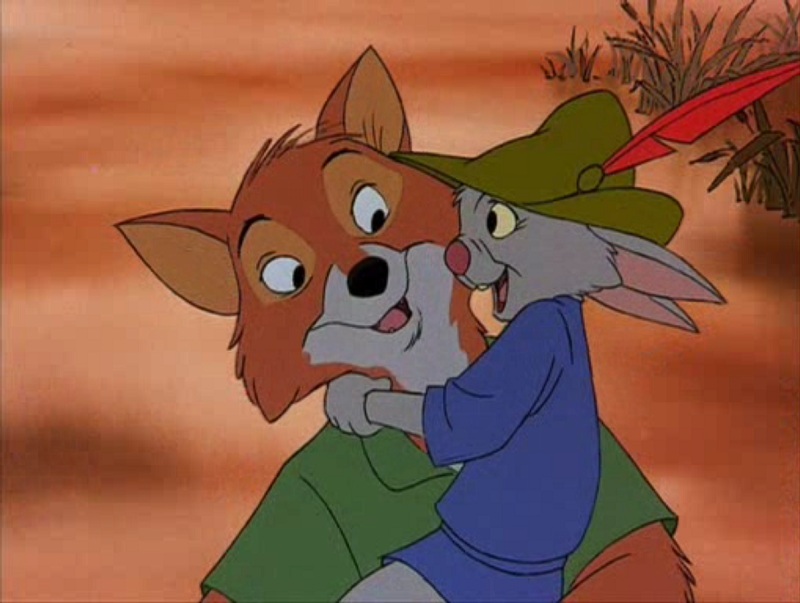 Walt Disney Production's great success with animal-centric animation films such as "The Jungle Book" and "Lady and the Tramp," as opposed to the so-so or downright poor performance of features showing human characters, such as "Sleeping Beauty" and "The Sword in the Stone," led it to go one step further: for the first time ever in a Disney feature, in "Robin Hood" (1973), directed by veteran Wolfgang Reitherman, it would take a tale about historical human beings and portray them as cute anthropomorphic animals. Ken Anderson worked on the story, and it is said that he wept when shown the finished product. 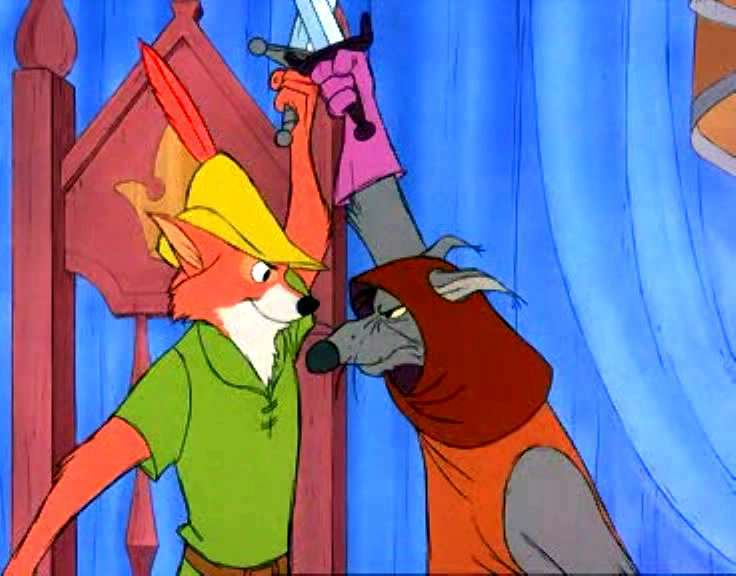 The public adored seeing Robin Hood as an amiable Fox, though, and - with barely anyone noticing - a quiet revolution in animation was achieved. 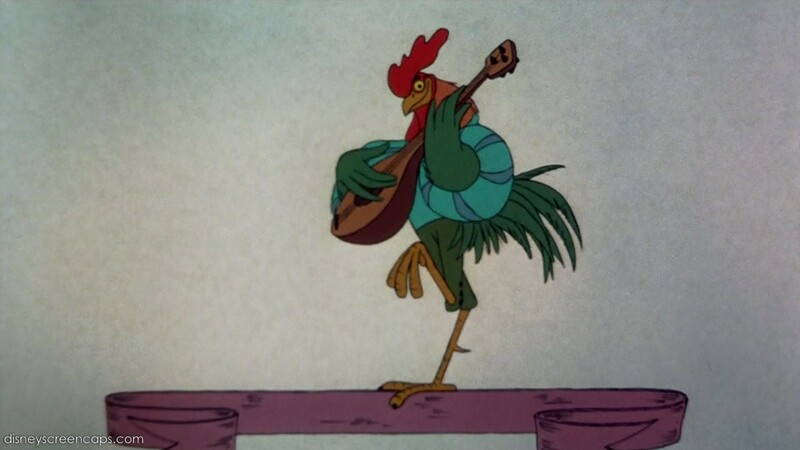 Minstrel rooster Alan-a-Dale (Roger Miller) relates this story about a medieval English outlaw and his gang which "steals from the rich and gives to the poor." Robin Hood (Brian Bedford) and his right-hand man Little John (Phil Harris, voicing a bear as with Baloo in "The Jungle Book" and thankfully not even attempting an English accent) live in Sherwood Forest, near Nottingham, England. 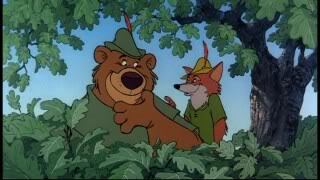 They are outlaws chased by the Sheriff of Nottingham (Pat Buttram, a wolf), who can never catch him. 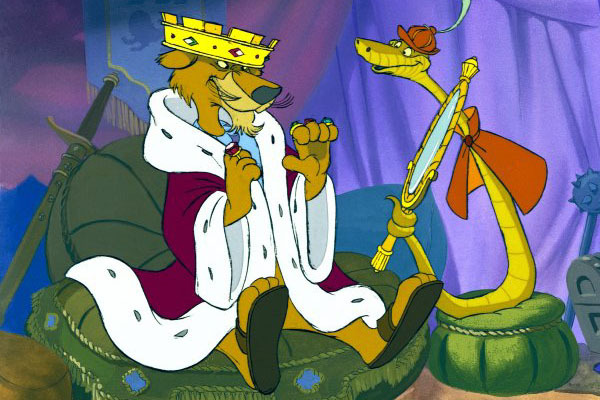 Prince John (Peter Usintov, a lion) and his sidekick Sir Hiss (Terry-Thomas, a snake) hypnotized John's brother Richard the Lionhearted (Ustinov) to make him go off on the Crusades. This allowed John to usurp the throne. Robin and Little John rob John, which makes John put a bounty on their heads and send the Sheriff after them. 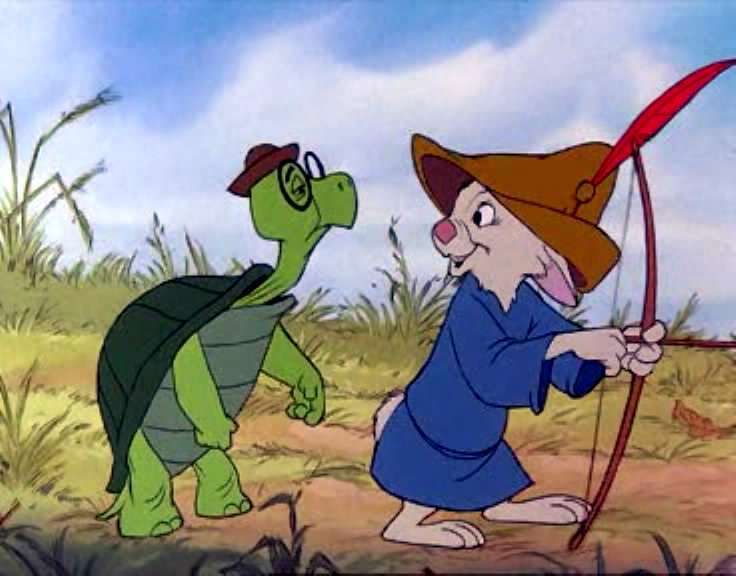 Robin, being charitable, gives his hat and bow and arrows to young Skippy (Billy Whitaker, a rabbit), who lives with his family in Friar Tuck's (Andy Devine, an American badger) house. 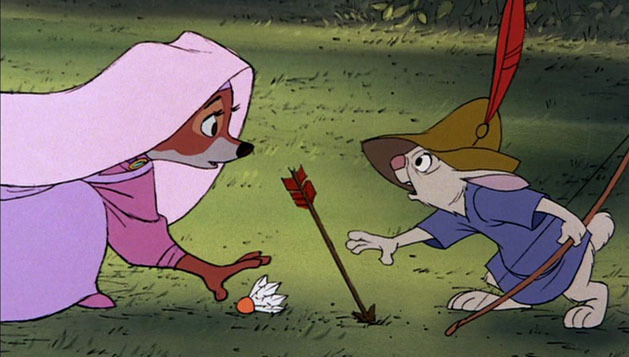 Skippy accidentally sends an arrow into the castle of Maid Marian (Monica Evans, a vixenish fox), and when he and Toby (Ritchie Sands, a turtle) go in to retrieve it, they meet Marian and her attendant Lady Kluck (Carole Shelley, a chicken). Marian tells them she was once Robin Hood's childhood friend. 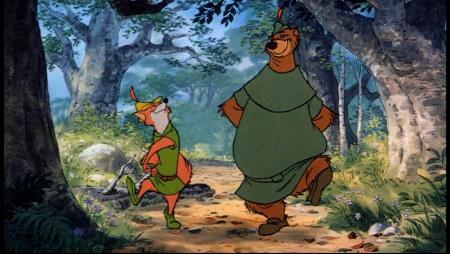 Friar Tuck finds out about an archery tournament, the winner to kiss Maid Marian. Robin disguises himself as a stork, while Little John pretends to be a member of royalty, the Duke of Chutney. Robin wins the tournament, but his identity is revealed and John sentences him to death. A fight results, with Robin, Maid Marian and the others escaping. Robin and Marian renew their relationship, while the townsfolk mock John for being an usurper. John responds by raising taxes and jailing those who can't pay. 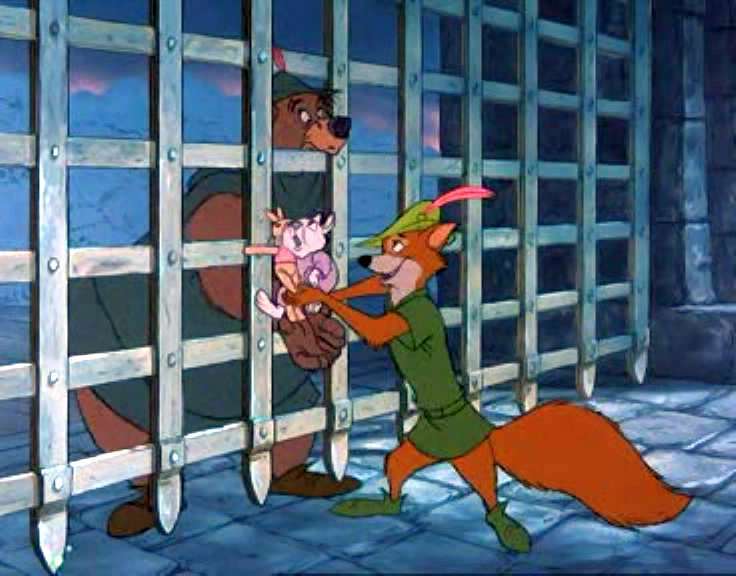 Even Friar Tuck is arrested in order to serve as bait to draw in Robin Hood. Robin does intervene, and manages to free the prisoners and steal John's tax collection. Sir Hiss and the Sheriff corner Robin and in the process set fire to the castle. Prince John despairs, but much worse is in store when his brother returns. Though it is not obvious from watching it, this production followed the trend of Disney making cheaper animation films. Material was re-used from as far back as "Snow White and the Seven Dwarfs," and every means possible was used to cut costs. Viewers still enjoyed the film, and it received an Academy Award nomination for Best Song, but the art was in a retrograde phase at the studio. 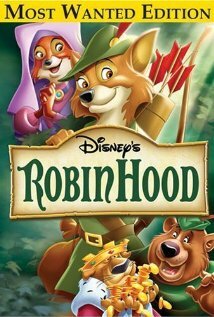 "Robin Hood" is a cute and colorful film that has adorable animals that kids love, while enough substance to keep adults watching. For a Disney feature film, the animation is weak. However, the characters are clearly defined and endearing, while the voice actors are outstanding. Peter Ustinov steals the film as Prince John, by turns either horribly nasty or crying for his mother like a true tough guy. Brian Bedford oozes charm as Robin, who is extremely likeable. Roger Miller as the narrator is sort of the stand-in for the then-contemporary Woodstock generation, giving a laid-back, "let me take a few puffs first" narration that is wonderfully earthy. His song "Not in Nottingham" is a favorite of many fans of this film. People who obsess too much about Disney films - such as myself - can't help but notice things that the casual viewer couldn't care less about, but which reflect the deterioration going on behind the scenes. Little John is a wonderful character, amiable, a good friend, somebody who comes through in the clutch - and the exact same character as Baloo in "The Jungle Book," voiced in exactly the same style by the same actor. Sir Hiss as drawn (nobody does Terry Thomas' voice the same way) bears an uncanny resemblance to the snake in that film, too. A musical interlude or two features a group of animals playing instruments exactly as they did in "The Aristocats." There is more (woe betide the Disney character who is so vain as to look in a mirror! ), and this continued in later films, too, but it doesn't matter to somebody picking this off the shelf and watching it. The characters are fun, the songs are catchy, the action is non-stop. Whether or not you can see black lines around everything because of the cheaper animation process in use since the early '60s is kind of beside the point, because everyone else was doing that, too. This is the first Disney project completely without Walt's involvement, and it shows, but not in such a way that it detracts from the viewing experience. Perhaps the biggest problem with the film - besides the bargain-basement animation - is the lack of a coherent plot. Robin, our hero, basically is just reacting throughout the film. 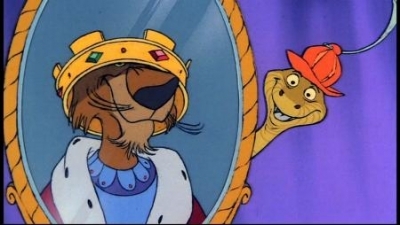 Sir Hiss is the funniest and most clever character in the film, but Prince John doesn't listen to him. It all has a cheesy, disjointed feel, as if the Disney animators were trying to edge towards imitating the Saturday morning cartoons that then were in vogue (those cartoons would start early and continue past noontime on all three networks and feature hour-long programs of "Scooby Doo" and so forth). Despite these flaws, the film is funny and enjoyable. Simply seeing which animal they chose to represent each character is hilarious and makes you think. Prince John and Sir Hiss have a sort of Dr. Smith/Robot relationship from "Lost in Space," with Prince John delivering alliterative put-downs ("Procrastinating python," "slithering serpent" and the like) when things don't go his way. The music by Disney veteran George Bruns mixes amusing new material with a sprinkling of classics and is very entertaining. 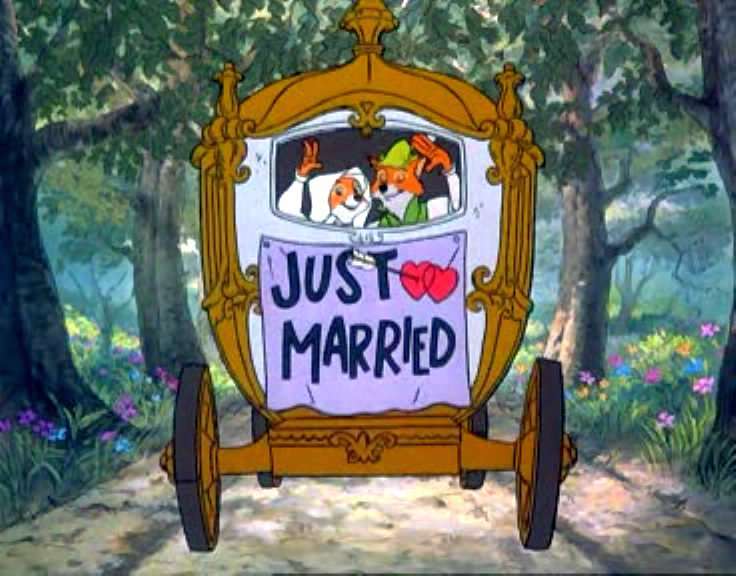 The love story between Robin and Marian is quite touching, too. 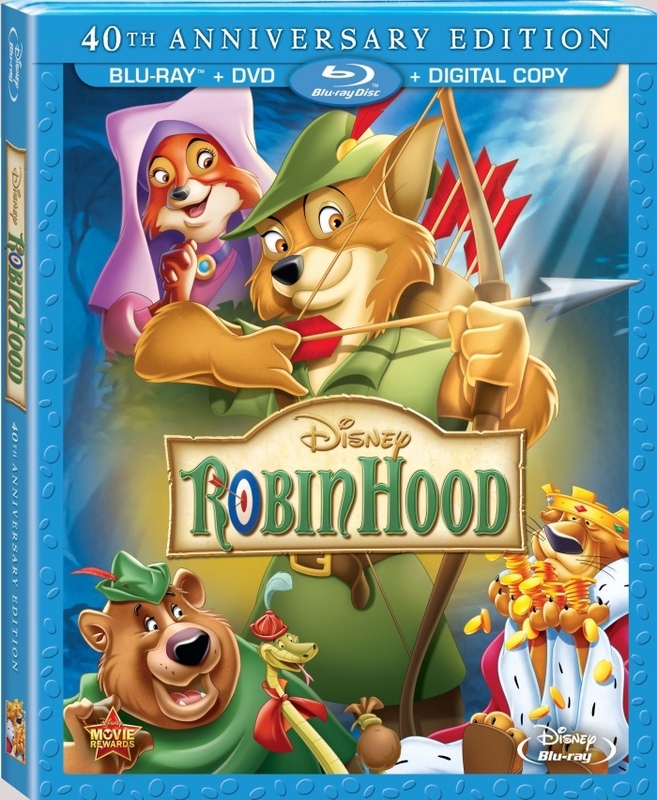 It is somewhat sad to see the state to which Disney animation had fallen in the years after Walt's death, but "Robin Hood" is by no means a bad film. It hasn't aged as well as some others such as "Sleeping Beauty" and "Peter Pan," but few films do. It may not be in their league, but it is a film adults and kids alike will likely enjoy. New: Deleted Storyline "Love Letters"